I grew up in Barrie and graduated from Barrie Central Collegiate before obtaining an Honours Bachelor of Arts, with First-Class Standing, from Brock University. I discovered a passion for family law during my second year of law school at the University of Western Ontario, while working with self-represented litigants in London’s Family Court. During the remainder of my studies, I vigorously pursued this interest, earning the J.G. MacLeod Scholarship for outstanding achievement in my Advanced Family Law course and serving as the Family Law Project Coordinator for the Western chapter of Pro Bono Students Canada. 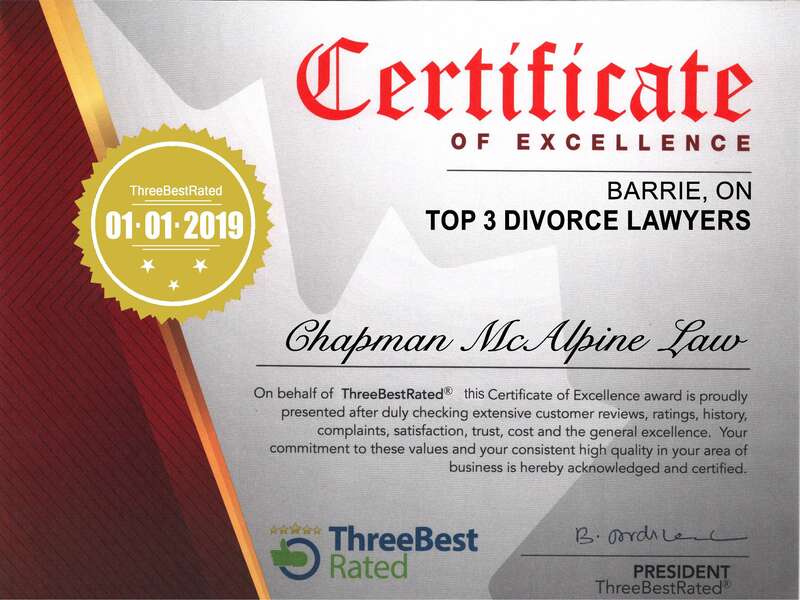 After completing law school, I articled at a respected full-service firm in London, Ontario and joined Chapman McAlpine Law shortly after being called to the Bar in June 2018. After nearly a decade spent pursuing post-secondary studies in other cities, I am happy to be back in my hometown. When not at work, I can usually be found running, biking, or spending time with family.